a map. If you don't, please read a beginners tutorial first. 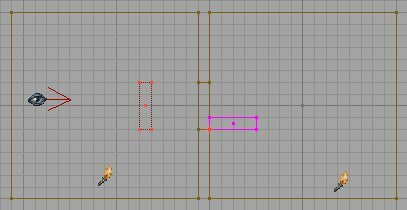 basics of creating simple movers. and contains a description about <u>all</u> mover proporties and classes. 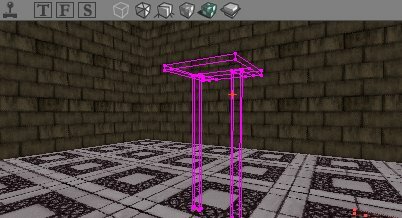 elevator with inner and outer doors, that can go and stop at 4 different floors. is the begin position, the mover will wait there until it is triggered. will move through all the other keys until it reaches the last one. 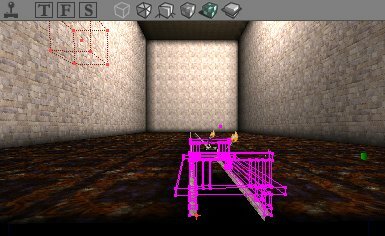 3D view, you can see the movers through the walls. in the sky, or anything else that moves. still use "open" and "close" for these situations. We are now going to make a lift that starts rising when you step on it. Please make a large room now. 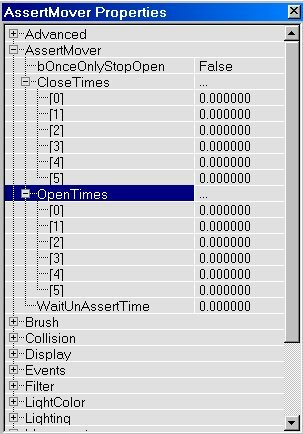 In UnrealEd1, you have to press the button that looks like this: . 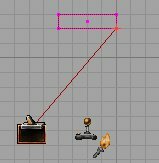 intersect the whole thing, and then use the red brush to add the mover. Delete that mover you just made, because now you will make a good one. First make a template of the lift. You can make it at any location, the best place to make it is in a large room outside your map, or if your map is a large outdoor map you can make it somewhere in the sky. Use normal brushes for this template, I mean the blue and the yellow ones. 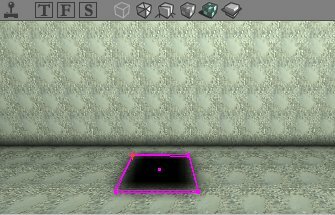 Give it the textures you want, align it, apply the texture properties you want, vertex edit it if necessary. 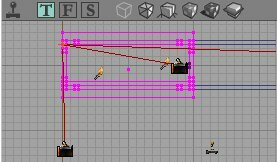 When the lift is finished, rebuild geometry and then move the red brush around the lift. Make sure the lift is completely inside the red brush, and there is nothing else inside the red brush. Permanently.&nbsp; Otherwise the mover will have a weird collision. 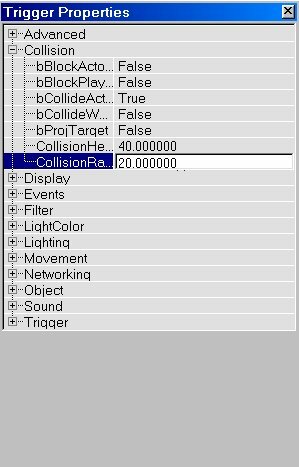 Now intersect by pressing the Intersect button . The red brush now has the same shape as the lift. It is safe to delete the template now, you won't need it anymore, except if you want to intersect the same lift again later. Move the red brush to the begin position of the lift, this means the position the lift will have when down. Now press the Add Mover button . 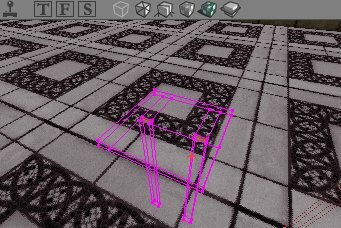 The lift looks like purple lines in the editor, if you start the map now in the game it will look like the template you created earlier. However it will not yet move. To make it working you first have to give the lift a second key. "Movers" and there select Key1. After you did this, place the purple mover brush to the position you want the lift to have when up. 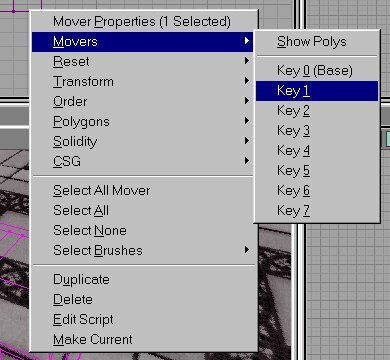 The mover brush now has two different positions: Key0 (base) is the "down" position, and Key1 is the "up" position. Now your lift is ready and works! 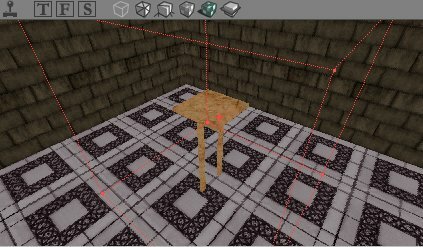 Rebuild your map, save it (don't forget to place a PlayerStart in the map), and play it. The lift and doors you just created use only 2 keys: Key0 (base) and Key1. 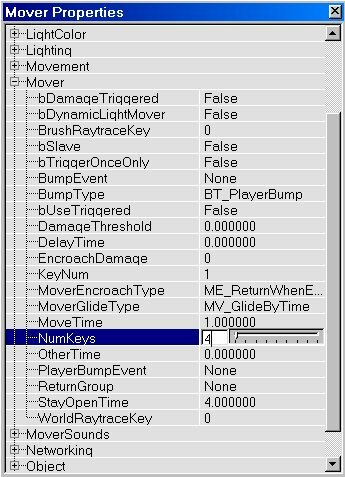 You can also make movers with more than 2 keys, with a maximum of 8 keys. If you make such a mover with for example 4 keys, it will, when activated, move from Key0 to Key1, then to Key2 and then to Key3. There it will wait for a few seconds, and then it will return to Key2, then to Key1 and then back to Key0 where it will wait until it is activated again. 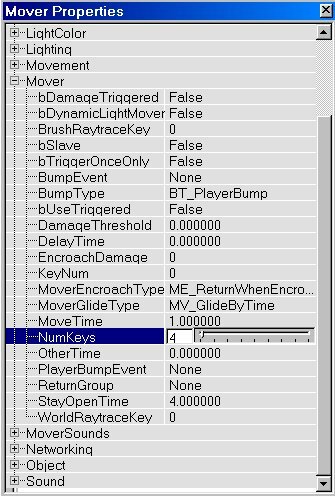 To give a mover multiple keys, do the same as you did with Key1 in the lift example, but this time do it for Key2, Key3, etc... as well. there set NumKeys to the number of keys you are using. So if you use Key0, Key1, Key2 and Key3, set NumKeys to 4. Key1, that is the same as setting KeyNum to 1 in the Mover Properties. 0 before saving the map. its own location. 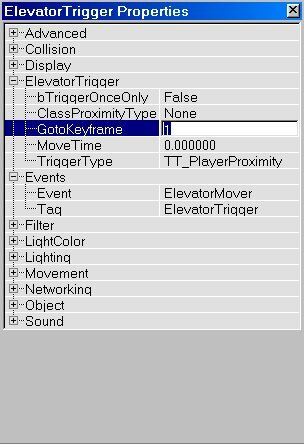 To move a certain Key of the mover, you first have to select that key and then move the mover around in the editor. If you move Key1, Key2, Key3, ... , or Key7, only that key will move. However, if you move Key0, all other keys will move as well. So if you made a lift that can rise etc..., and you want to place it somewhere else in the map, you only have to move Key0. Key1 will follow then. the second key before the door works the way you want it. Every mover has a lot of properties, for example to change the speed, the sounds, etc... of the mover. 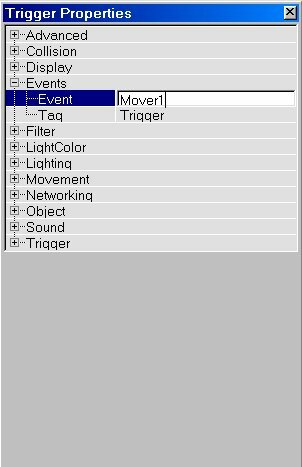 open the Mover Properties of a mover, right click on it and select "Mover Properties". will work only once, and after that never anymore. with ReturnGroups, as you will see later. wait a while and then try again. starts (positive acceleration) or stops (negative acceleration) moving. the player on its path. -NumKeys: the number of keys your mover uses. 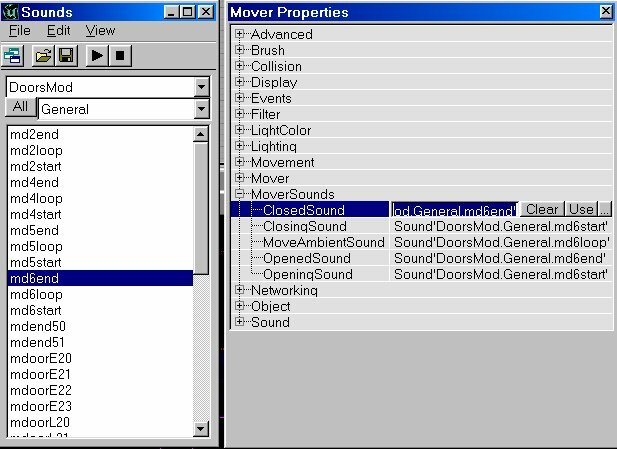 sounds, like wooden doors etc..., and the DoorsMod.uax has modern sounds. button of the fields to activate the sound. "loop" or "L" in the name for the MoveAmbientSound. This way you get the best effect, because these sounds are made for this. md5loop and md6end for 1 lift, but that sounds really weird. OpeningSound, otherwise they will keep playing forever! through walls. However the players standing on the movers cannot. things to a hidden mover. mover a roof and walls. effects when stepping on the mover. for things like the wheels of a car, use Roll or Pitch. center, while the second one will rotate around one of its sides. None. I will talk about InitialState in a minute. trigger in your map, at a place where players can walk to activate it. will now paint a red line from the trigger to the mover. radius of the trigger, open its properties and expand collision. 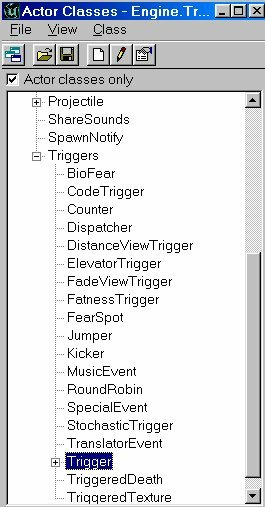 There are also some other trigger properties that might be interesting. 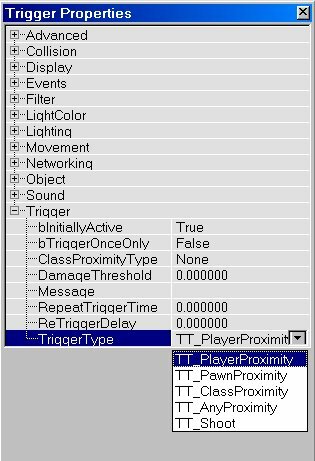 In the Trigger Properties expand "Trigger"
-DamageThreshold: How many damage is at least required when TriggerType is TT_Shoot. trigger again after the TriggerDelay time is expired. selected in ClassProximityType is in its radius. This might not work. damage is larger than what you entered in DamagaThreshold. 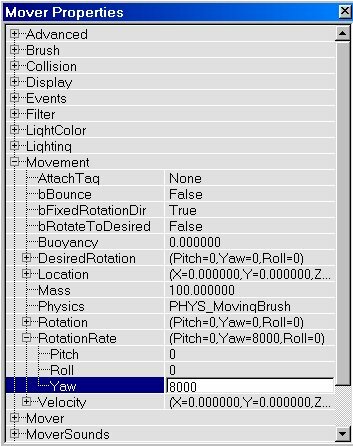 brush will be calculated for this Mover Keyframe only. position. 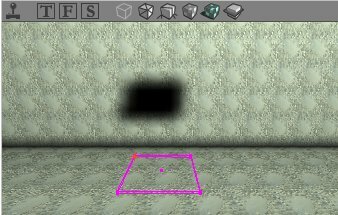 You can also use this to create fake shadows. 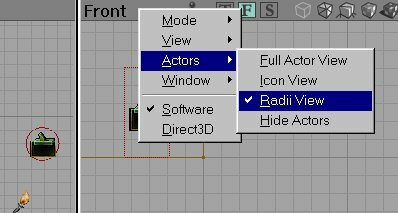 makes a normal mover toggle between its keyframes. 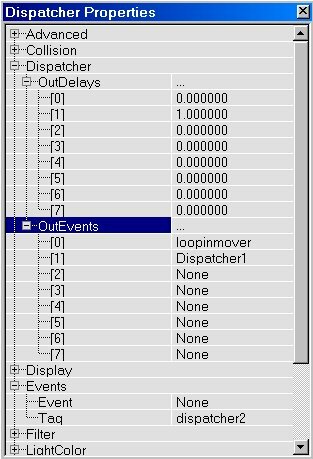 it a tag (under "Events"), for example "loopingmover". Now add two dispatchers (they are in the Actor Class Browser under Triggers). for example "Dispatcher1". 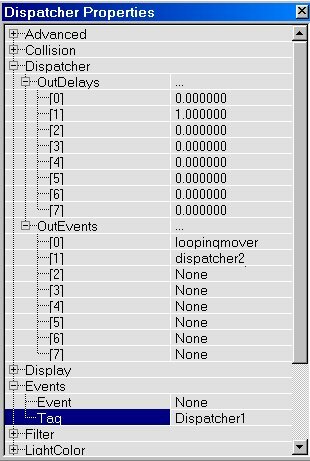 Now, expand "Dispatcher"
needs to be triggered and after that the mover will keep moving forever. activate it without even knowing it. "dispatcher2", you may choose which one yourself. we used until now. However, now choose "LoopMover" instead. 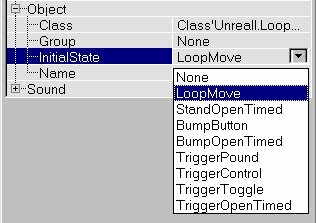 InitialState that makes the LoopMover work. Select it. the radius, the mover will stop at the next key it will reach. 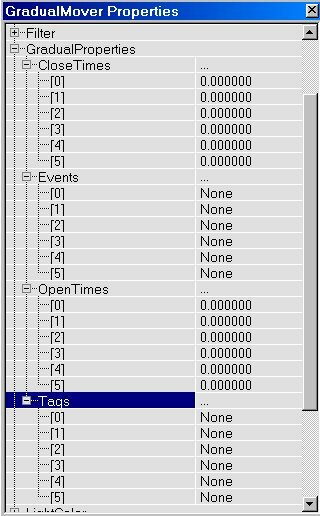 Event of the trigger to the tag of the LoopMover. forever when it hits a player. from Key0 to Key1 to Key2, then it will go back to Key1 and then back to Key0. shortest way back to Key0. 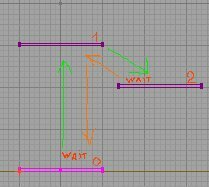 what method you use depends on how you want your looping mover to move. have to do the same as you did with the LoopMover. will wait at the last key, use OtherTime. False and bStatic is False. it is away from it, and even if the object has to go through walls. 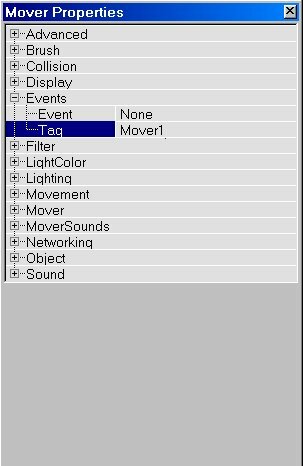 the objects a Tag and the AttachMover the same AttachTag. it will disappear in the floor! Rotations might not work, however I have seen it working sometimes. has great potential, you can do amazing things with it without having to script! activated only when a player bumps it. ElevatorMover. 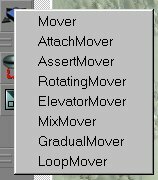 That's because this mover gives you control over each key. map: one to go to Key0, one for Key1, one for Key2 and one for Key3. 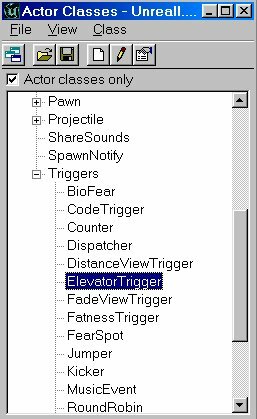 ElevatorMover, right click on the add mover button and choose ElevatorMover. Now give it 4 different keys. should see red lines going from the triggers to the mover. once, and then it will never work anymore. and that key do you control by using this setting. 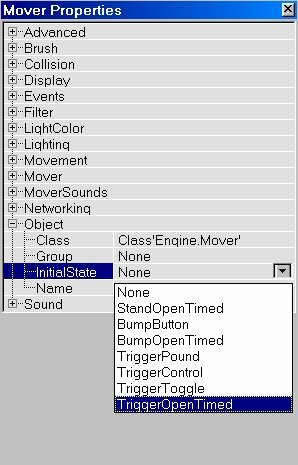 of the 4 triggers to respectively 0,1,2 and 3.
matter where the mover starts, it will always reach the correct keyframe! 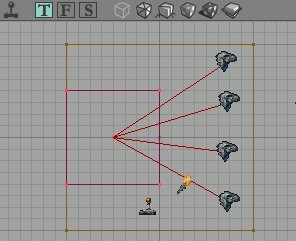 separate trigger for each key, you need to use this. this mover, or they will stay playing forever. example "AssertMover", and add a trigger with the same Event. trigger to the mover (see section AttachMovers for this). you left the trigger's radius. "B" and not by event "A". 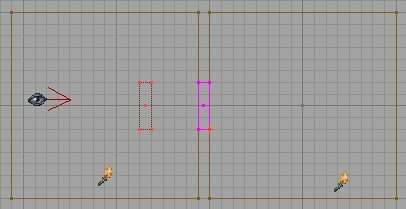 keyframes, and you can't use the different tags, only Tag will be used. The different Events work, of course. mentioned was Trigger0 of the example below. mover to activate other things. or give them different ReturnGroups. give them a different ReturnGroup! Tags but the same ReturnGroup, they will also stop or return together. 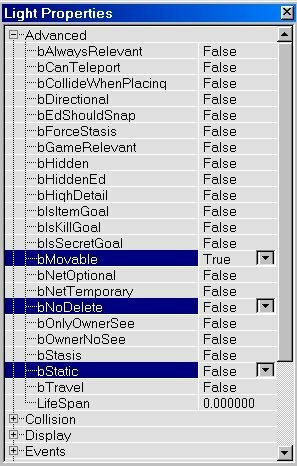 lists all the mover properties that weren't explained yet in the other sections. -bSlave: makes the mover brush a slave of another mover with the same Tag. as if you would use the AttachTag of a mover. 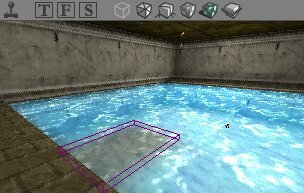 the final version of Unreal. disappears in the wall when you push it, and returns after a few seconds. There will not be used any triggers. the button to the door. now move when the train moves, so it will always follow the train. ElevatorMover for the train instead, and give it two buttons. disadvantage then is that you won't be able to give your train sound. example map, dm-train.unr, is included in the zipped version. attached a mover to a bird, and the mover rotated when the bird did. it, and place boat or raft on the water. 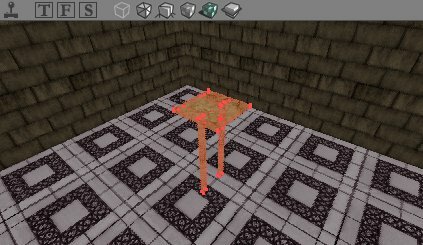 have a working normal raft. Movers to get this to work. boat mover the same AttachTag. raft more keys), its the way the movers are programmed. example map, dm-boat.unr, is included in the zipped version.